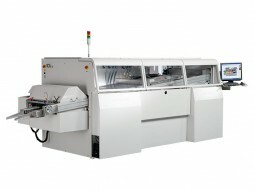 Wave soldering system with process width of up to 250mm. 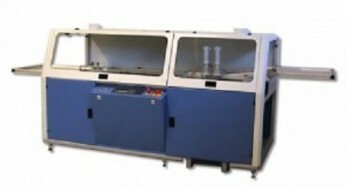 Small foot print wave soldering system with process width of 330mm. 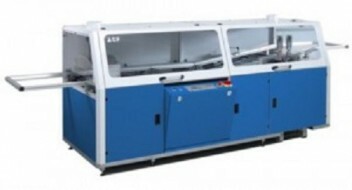 High end wave soldering machine with process width of 330 or 400mm. 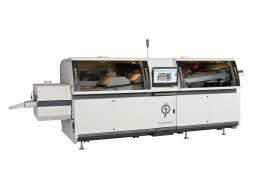 High speed wave soldering machine with preheat zone of 1.70 metres and process width of 330 or 400mm. 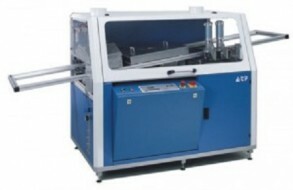 Reliable, cost-efficient wave soldering machine. 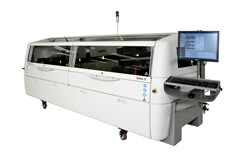 Wave soldering solution for low-to-medium mass board assemblies in a high volume production soldering environment. 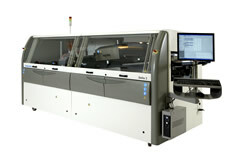 Wave soldering solution for medium-to-high mass board assemblies. 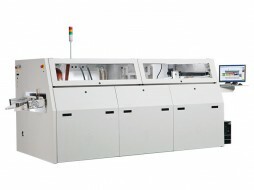 Wave soldering system designed for high-mass and high-volume production.